It was 5.45 pm on July 3, 1948. 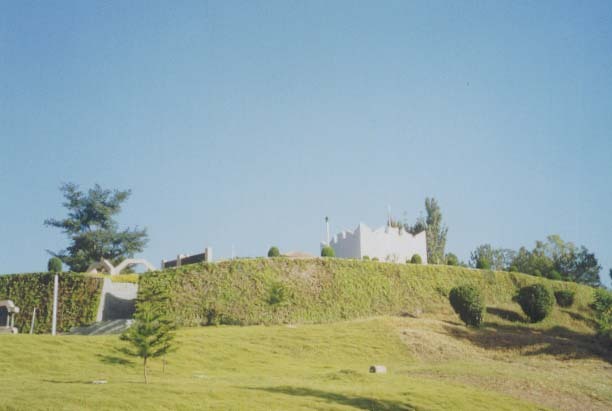 Jhangar near Naushera, Rajouri (Jammu). The sun was about to set and the brigadier, having offered his evening prayers, was holding the routine, daily meeting with his staff officers at his command post—actually, a makeshift structure rigged with the help of a few tents. A sudden burst of shelling sent them all scurrying for cover behind a rock formation. 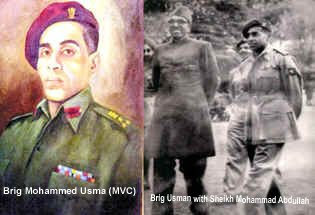 Late Brig Mohd Usman stands as a personification of the secular traditions of the Indian Army. He made supreme sacrifice in the Battle of Jhangar on July 3, 1948. On the occasion of his death anniversary, homage is paid to this great soldier at Jamia Milia, New Delhi by those who fought along with him fiftyfour years back. The legend grew. It would have grown larger still. Had the Lion of Naushera survived the July of 1948, could he have ended his career as India’s first Muslim army chief? Brig Usman was born on July 15, 1912 at Bibipur which is a part of today's Azamgarh District in Uttar Pradesh, late Brigadier Mohammed Usman, MVC, was the first son after three daughters of Khan Bahadur Mohammed Farukh, a widely regarded police official. Two more sons were born after Usman. As a city Kotwal in Varanasi, Usman’s father played a sterling role in diffusing a potentially combustible situation arising out of a communal dispute. His fairness was widely appreciated by both communities involved in the standoff. Such traits were bound to have impact on his children and it was hardly surprising therefore, that the spirit of patriotism and secular credentials would dominate the young Usman’s personality. Usman and his younger brothers, Subhan and Gufran, were educated at Harish Chandra Bhai School, Varanasi. Brig.Father had been married to a very well known Ansari Musliom family of YUSUF PUR MOHAMMEDABAD of Dist Ghazipur of U.P.Mr.,Mukhtar Ansari, Afzal Ansari n Shafgtullah Ansari are Brigadier`s real maternal grand sons.Ex Congress President Dr Mukhtar Ansari was the paternal grand father of this ansari bros.Present Vice president of India Dr Hamid Ansari is also from this Ansari family. Usman’s younger brother Muhammad Ghufran also served in Indiana army and retired at Brigadier rank. 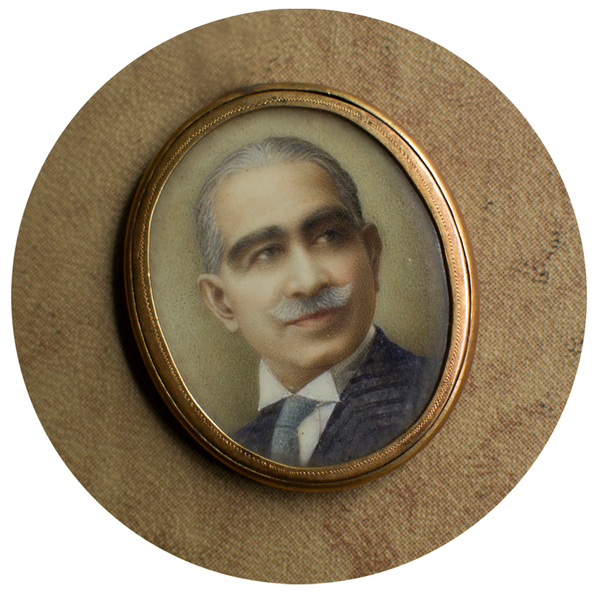 Despite intense pressure from the Pakistani leadership to join the Army of the new nation, Brig Usman remained committed to the ideals of his motherland. The ultimate bait of becoming the Pakistan Army Chief also proved unsuccessful in tempting him and he remained steadfast in his resolve to serve the land of his birth. Hailing from a modest, middle-class family in Azamgarh, Uttar Pradesh, Usman had steel in his spine. At the tender age of 12, they still remember of him, he had jumped into a well to rescue a drowning child. He had a stammering problem in childhood, but overcame the handicap by sheer willpower. 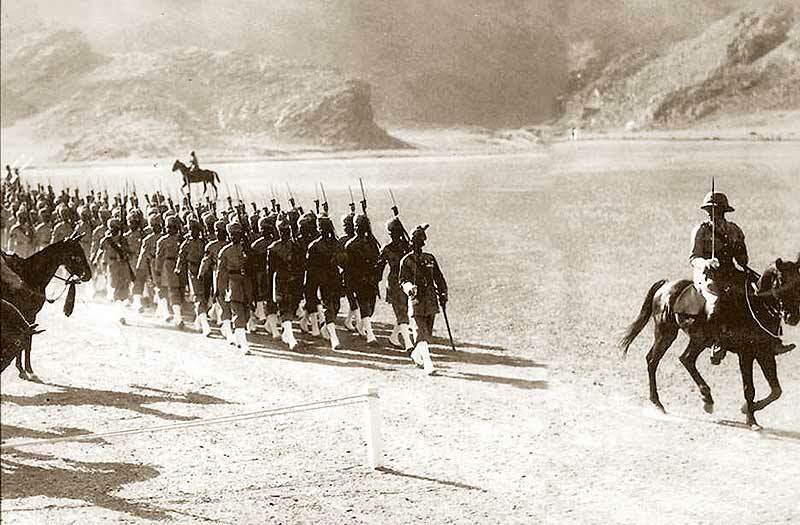 One of the ten Indian boys to secure admission to the Royal Military Academy (RMA) at Sandhurst, England, in 1932—the last batch of Indians to do so—the feat made no less remarkable by that distinction. Usman was commissioned in the storied Baluch Regiment at the age of 23 and saw action in Afghanistan and Burma during the World War. He rose quickly to the rank of brigadier, drawing attention to himself by his firm and fair handling of the precarious communal situation at Multan. Lieutenant Zorawar Chand Bakhshi (nick named Zoru) joined 16/10 Baluch Regiment (two Companies Pathans, one company Punjabi Muslims and one company Brahmin Dogra) and was posted to Pathan company. 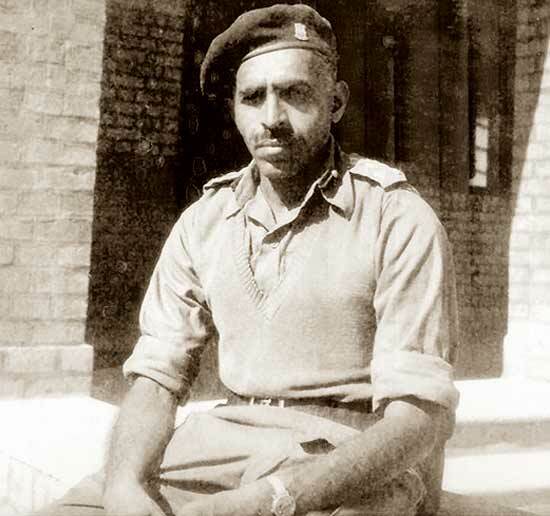 He fought Second World War with his Pathan comrades. In November 1944, a day before the transfer of Commanding Officer (CO) Lieutenant Colonel John Fairly, Zoru took a patrol of his Pathan soldiers and reported back to CO about a hill feature occupied by Japanese. CO ordered him to attack but advised him to take soldiers from Dogra company (Fairly had served with Dogras and that was probably the reason of his advice). 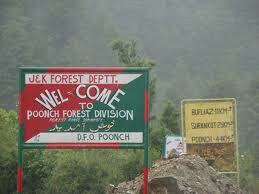 Zoru was not happy as he wanted to take his own Pathan soldiers but he had to obey orders. Fairly left the battalion and Major Usman became officiating CO. Zoru proceeded with the attack and a fierce fire fight resulted in many casualties. 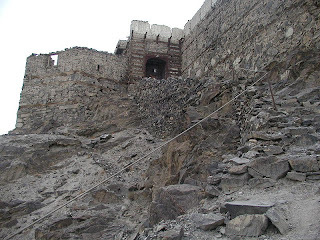 A small group including sepoys Mushtaq Khan, Bashir Ahmad, Shamsher Singh and Bhandari Ram attacked the machine gun position. In the ensuing battle Mushtaq, Bashir and Shamsher were killed and Bhandari was severely wounded but he avenged the death of his comrades by continuing to fight Japanese with his side arm, hand grenades and a captured machine gun. Two Pathan soldiers of the unit brought unconscious Bhandari to the medical post. 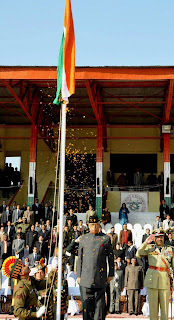 New CO Lieutenant Colonel L. P. Sen took command of the battalion. 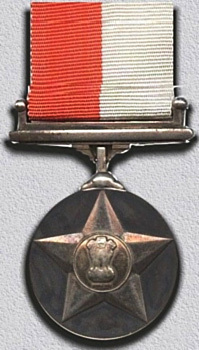 Usman suggested that Bhandari should be recommended for Victoria Cross (VC). Sen hesitated as he didn’t want to send a name for VC a day after taking the command and instead recommended Bhandari for Indian Order of Merit (IOM). Usman felt that it was not fair to Bhandari and went to his Brigade Commander Brigadier R.A. Hutton. Hutton agreed with Usman and after fresh recommendation Bhandari was awarded VC. This incident shows the personality of Usman. Once he was convinced about his position, he took the stand and didn’t hesitate to disagree with his superior officer. 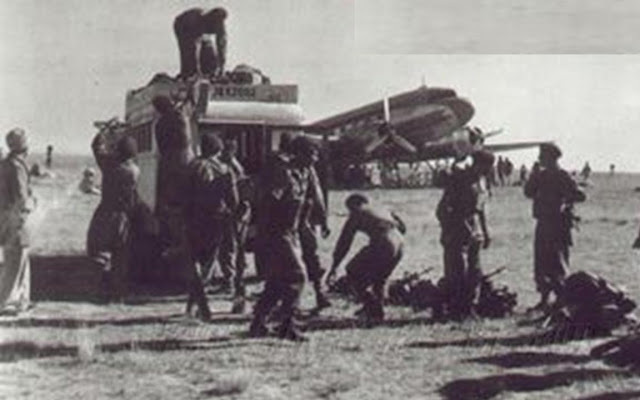 In 1946, Usman was posted as GSO-1 of 2nd Airborne Division then undergoing the process of Indianization. In early 1947, division was Indianized with 14th, 50th and 77th Para Brigades. Usman was appointed commander of 77th Para Brigade that performed very well in internal security duties in Punjab. 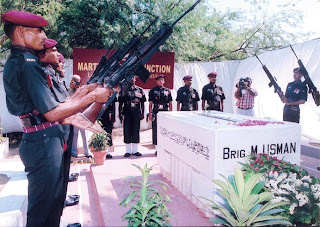 14th Para Brigade was allotted to Pakistan while 50th and 77th went to India. Usman opted for India and moved with his 77th Para Brigade to Amritsar. His parent Baluch Regiment was allotted to Pakistan and he was affiliated with Dogra Regiment (class composition of Baluch Regiment was Punjabi Muslim, Pathan and Dogra). It is suggested that his fellow Muslim officers asked Usman to opt for Pakistan. Some even suggest that Pakistan’s founder Muhammad Ali Jinnah and Prime Minister Liaqat Ali Khan personally asked Usman to opt for Pakistan and promised accelerated promotion but he declined. Nawabzada Sher Ali Khan was the scion of princely state of Pataudi. His hometown became part of India but he opted for Pakistan army. Usman and Pataudi were together at Sandhurst. 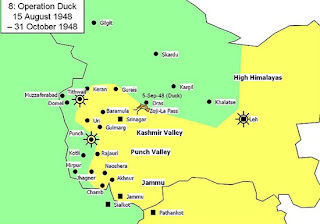 In November 1948, Pataudi then commanding Pakistani 14th Para Brigade took control of the area of operation where Usman had fought. If Pataudi had opted for India and Usman for Pakistan, the roles could have been reversed. Pataudi’s parent regiment 7th Light Cavalry was allotted to India and in 1947-48 Kashmir 7th Light Cavalry then commanded by Lt. 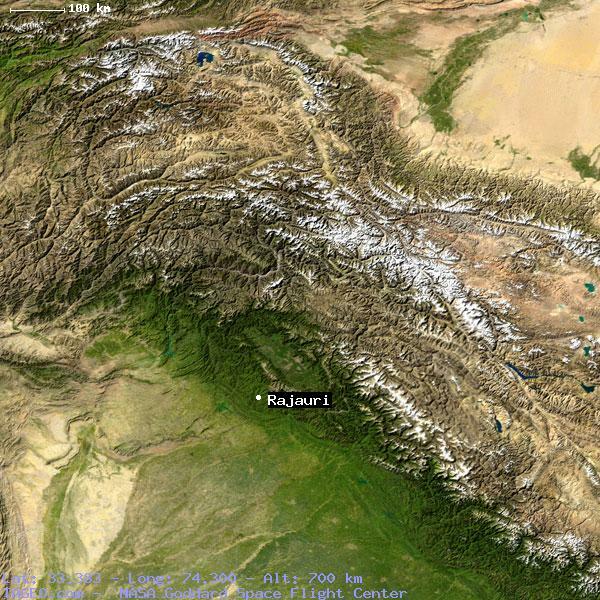 Colonel Rajindar Singh 'sparrow' (later Major General) captured Zojila. Usman’s own Baluch regiment allotted to Pakistan was fighting from the opposing side. 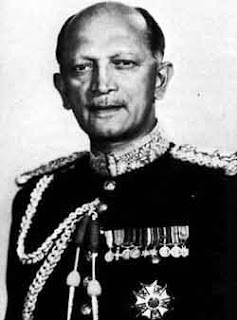 Usman’s other course mate at Sandhurst Brigadier Muhammad Akbar Khan (6/13 Frontier force Rifles) was in charge of operations in Kashmir on Pakistani side. 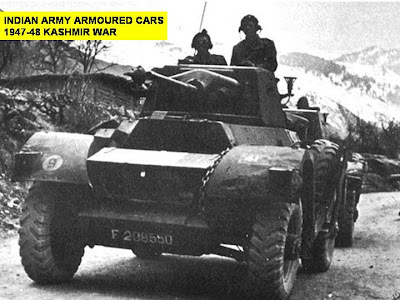 Kashmir war started in 1947-48 and 50th Para Brigade commanded by Brigadier Y. S. Paranjpe moved to Kashmir. 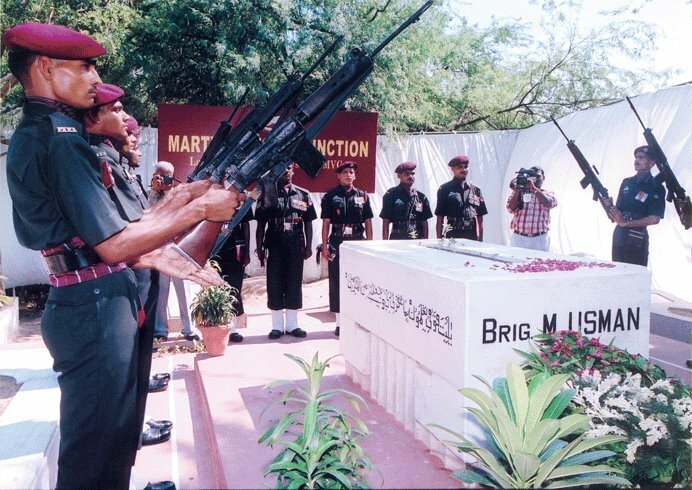 When Paranjpe was hospitalized, Usman took command of 50th Para Brigade based in Nowshehra. It was here that Usman fought a tough battle with Pakistanis. In 1947, Indian army was divided between India and Pakistan. Many Muslim officers opted for Pakistan but Usman opted for Indian army. 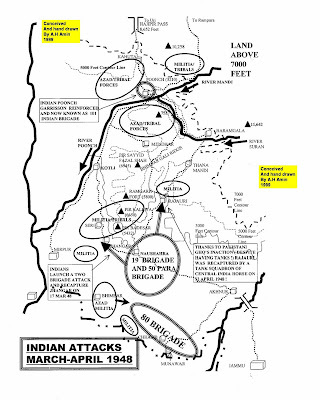 In July 1948, Usman’s brigade was now reinforced (1/7 Rajput, 3 (Para)/7 Rajput, 3 (Para)/5 Marhatta Light Infantry, 2/2 Punjab and 1 Patiala Sikhs. Later 2 Jat also joined the Brigade) and Jhangar was recaptured. On March 15, 1948, the brigadier signed an order to the “Comrades of 50 (I) Para Brigade”. It read: “Time’s come for the capture of Jhangar. It is not an easy task, but I’ve complete faith in you all to do your best to recapture the lost ground and retrieve the honour of our arms—we must not falter, we must not fail. Forward friends, fearless we go to Jhangar. India expects everyone to do his duty. Jai Hind.” Three days later, his troops recaptured Jhangar. Usman leading a parade in Multan. It was 5.45 pm on July 3, 1948. 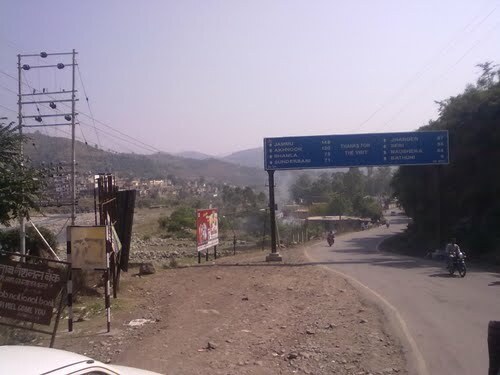 Jhangar near Naushera (Jammu). The sun was about to set and the brigadier, having offered his evening prayers, was holding the routine, daily meeting with his staff officers at his command post—actually, a makeshift structure rigged with the help of a few tents. A sudden burst of shelling sent them all scurrying for cover behind a rock formation. The brigadier sized up the situation and saw the enemy’s field guns to be too well-entrenched. 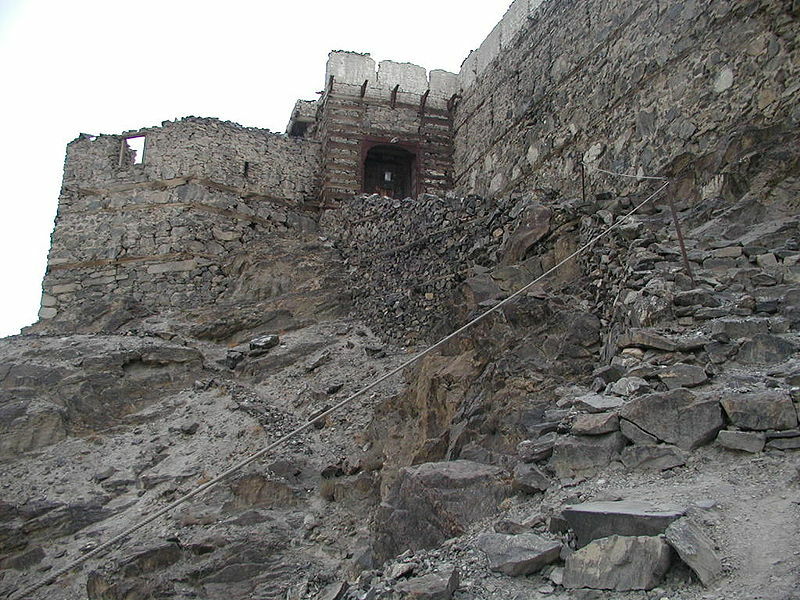 Spotting an enemy observation post sited on an elevation, he shouted instructions for his field guns to engage the fortification while he himself attempted a dash, presumably in an effort to alert others. But as he stepped out, a shell from a 25-pounder landed almost next to him—its splinters killing him on the spot. Usman died 12 days short of his 36th birthday. Few days before his death, a Pakistani paper reported that Usman had died. Usman’s brother contacted military authorities and Western Command sent a signal to forward area. Usman sent back the signal, “I am fit and flourishing – still in the world of the living”. He died few hours after sending this signal. 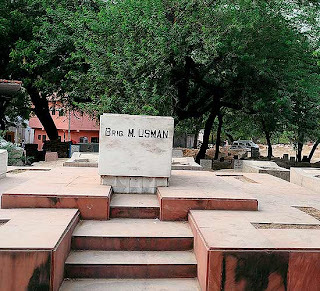 Usman was given state funeral and buried on the premises of Jamia Millia. It is to the credit of India that the only state funeral for a military man was given to a Muslim soldier. It is noteworthy that Brig Mohd Usman, MVC remains India’s only military commander to have been given this singular honour), with the nation’s eminent leaders include Lord Mountbaten, Governor-General of India, Indian prime minister Pandit Jawaharlal Nehru, education minister Maulana Abul Kalam Azad, and the then Defence Minister Sardar Baldev Singh, Sheikh Abdullah and the then COAS Lt Gen (later Fd Marhal) KM Cariappa attending his funeral, before he was buried in the Jamia Milia Islamia at Delhi. 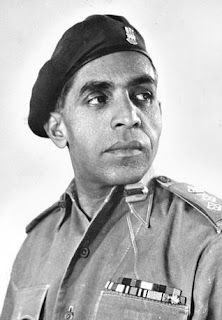 It is also noteworthy that Brig Mohd Usman, MVC remains India’s highest ranking military commander till date, to have made the supreme sacrifice on the battlefield itself, while leading his men in action, in the face of the enemy). Besides the above, there are many remarkable facets to this eminent military personality of India, that make us proud as a nation, even to this date. 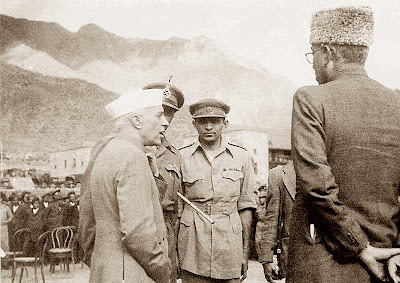 His unflinching patriotism and love for the motherland is amply demonstrated by the fact that despite being an officer of the Baluch Regiment (which ultimately went to Pakistan) he steadfastly chose to remain with his motherland India, despite Pakistan trying in vain to make him join their army, by offering him the devlish temptation of making him their army’s chief. 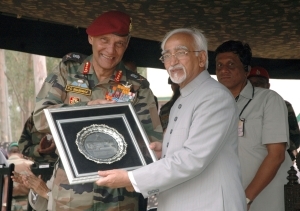 He was thus virtually a living example and hallmark of the glorious secular traditions / architecture of the Indian Army, a beacon whose shining light remaims ever so strong till date not only in India’s Armed Forces, but also as a nation, in stark contrast to neighbouring Pakistan, whose reason de etre’ itself was communal. For his unparalleled and stupendous feat of wresting back the captured territory - of Jhangar - (Nowshera) from a treacherous enemy making the supreme sacrifice in the process, Late Brig Mohd Usman, MVC earned the nation’s eternal gratitude and was immortalised, with the endearing epithets : `Saviour and Protector of Naoshera’ and `Nowshera Ka Sher’. An inspiring leader and a tremendous motivator of men, he always achieved success beyond the call of duty from his troops. He was also innovative and benevolent. He supported 158 orphan children found abandoned and famished in Naushera from his meager rations. Later he formed these children into the famous 'Balak Sena' (Children’s Army) of his and deployed them to run errands as messenger boys or as carriers of food & supplies in the theatre of war, in the rear lines. . He used to donate a large part of his salary to support poor children and pay for their education. loss of their benefactor. An Indian journalist, Khwaja Ahmad Abbas, wrote about his death, "a precious life, of imagination and unswerving patriotism, has fallen a victim to communal fanaticism. 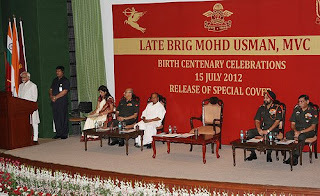 Brigadier Usman's brave example will be an abiding source of inspiration for Free India". Upender Sood a film director has produced a film on life of Brigadier Usman. “It gives me great pleasure to participate in today’s function organised by the Indian Army to commemorate the Birth Centenary of Late Brig. Mohammed Usman. It is also an opportunity to pay homage to a great son of India, and at a personal level, to my cousin. Brig. Mohammed Usman, the Hero of the Battle of Naushera is one of the most inspiring military leaders of Independent India, who demonstrated exceptional courage, devotion to duty and and love for the motherland in the finest traditions of our Army. Brig Usman won the hearts and minds of one and all during the partition, when he was vested with the responsibility of 50,000 Hindus and Sikh refugees as the Garrison Commander of Multan. He always remained calm, religiously followed Gandhian principles and delighted in spinning the Charkha, a gift from Bapuji. He wore khadi when not in uniform and enjoyed reading Gandhiji’s works. Brig Usman’s determination and commitment was legendary. When Jhangar fell on 27 December 1947, he took a vow not to sleep on a cot till he had recaptured Jhangar. True to his word, he slept on a mat during the biting cold of the winter months in 1947-48. He redeemed his pledge when on 18 March 1948, 50 Parachute Brigade recaptured Jhangar after a fierce fight. Prior to that he was instrumental in defending Naushera. The heroic deeds of Brig Mohd Usman will continue to inspire the Indian Army in the years to come. On the day of his birth centenary, let us all remember this national hero who was the senior most Indian Officer to make the ultimate sacrifice during the Jammu & Kashmir operations of 1947-48. As a war hero, his name in the history of India and in annals of military history will always be written in gold. Vice President Mohd. Hamid Ansari addressing at the birth centenary celebrations on late Brigadier Md. 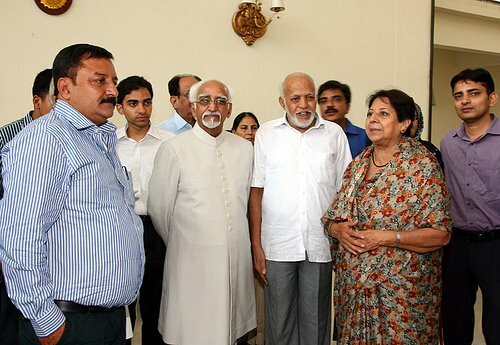 Usman, in New Delhi on July 15, 2012. Defence Minister A. K. Antony and Chief of Army Staff, General Bikram Singh are also seen. 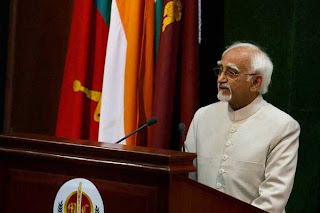 Vice President Mohd. Hamid Ansari honoured the kin of late Brigadier Md. 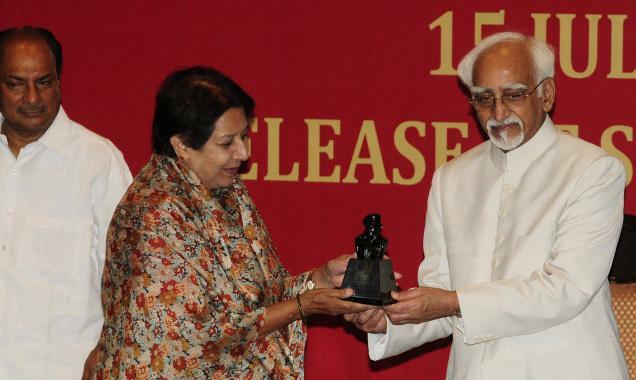 Usman, on his birth centenary celebrations, in New Delhi on July 15, 2012. 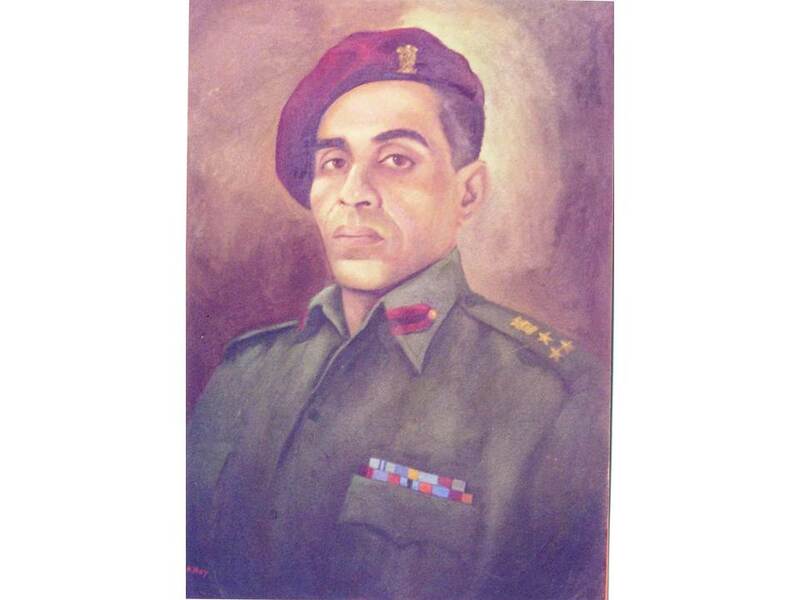 The Army’s Parachute Regiment on Sunday celebrated the birth centenary of Brig Mohammed Usman, the highest-ranking army officer killed in the Indo-Pak conflict in 1947. A commemorative function was organised in New Delhi to celebrate the birth centenary of Usman “who as a Muslim became a symbol of India’s inclusive secularism“. 2012 is the birth centenary year of one of the greatest martyrs of our Nation Brig Mohd Usman, Maha Vir Chakra the highest ranking officer of the Indian army who martyred while fighting in any war is on 15 July 2012. 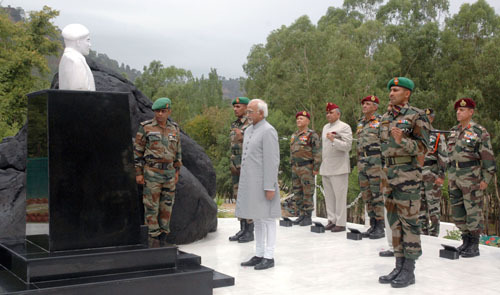 The solemn occasion is being celebrated with a series of events between 30 June 12 to 15 July 2012. As part of the ongoing series of events across the nation the Shatrujeet Brigade on behalf of Surya Command organized a display of Parachute, Para Motor equipments, Rifle & archery shootingat 39 Gorkha Training Centre Varanasi on 30 Jun 2012. This was immediately followed with flagging off of Paramotor Expedition from Varanasi to Lucknow by Additional Director General for Military Operations (Special Operations) Maj Gen N S Ghei, AVSM. 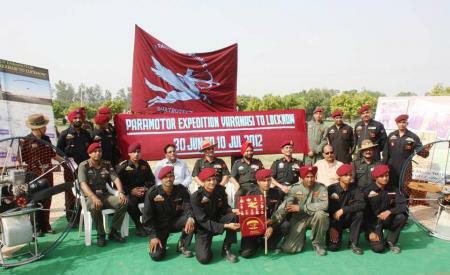 The Paramotor expedition team “PUSHPAK”, comprising of five elite paratroopers of 50 Independent Parachute Brigade will cover the journey of 500kms in 10 days with port of calls at Bibipur, Gayanpur, Allahabad & Raibareli. 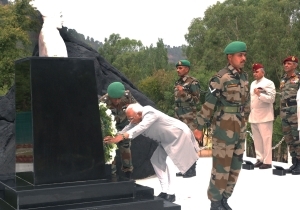 Vice President Hamid Ansari laying a wreath at the bust of late Brigadier Mohammed Usman at Jhangar, Naoshera in Jammu & Kashmir on Saturday. On the top of the mound, the great memorial 'Hall of Fame' has been constructed in commemoration of the heroic deeds of those who have laid down their lives for the sake of their motherland in this sector of Rajouri and Poonch. Lt. Gen. S.P. 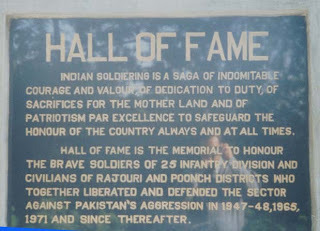 Malhotra, PVSM, laid the foundation stone of "Hall of Fame" in 1982 the then GOC-in-C Northern Command. 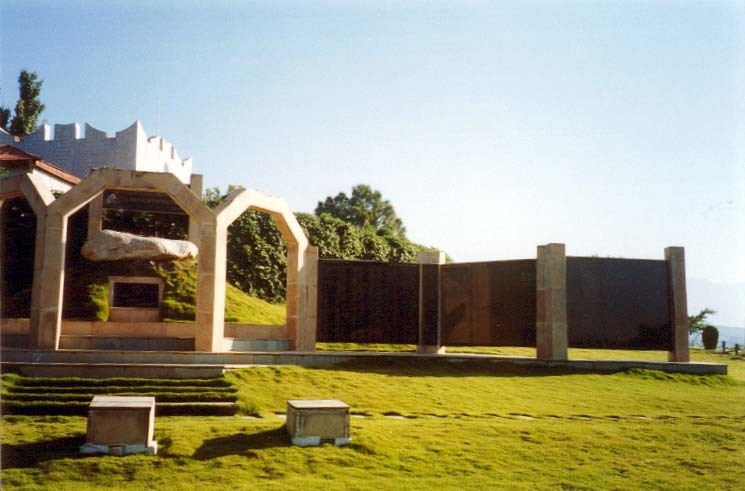 About two years later, on October 29,1984, this monument was declared open by the then Lt. Gen. Chibber, PVSM, AVSM, GOC-in-C North Command. As soon as we approach the premises of Hall of Fame, a beautiful replica (soldiers fixing Indian tri-colour on the enemy's post) attracts the visitors. On the second layer of lawn upward another memorial has been recently constructed in the memory of five army officers including Maj. Gen. Sudershan Singh and Brig. B.P. 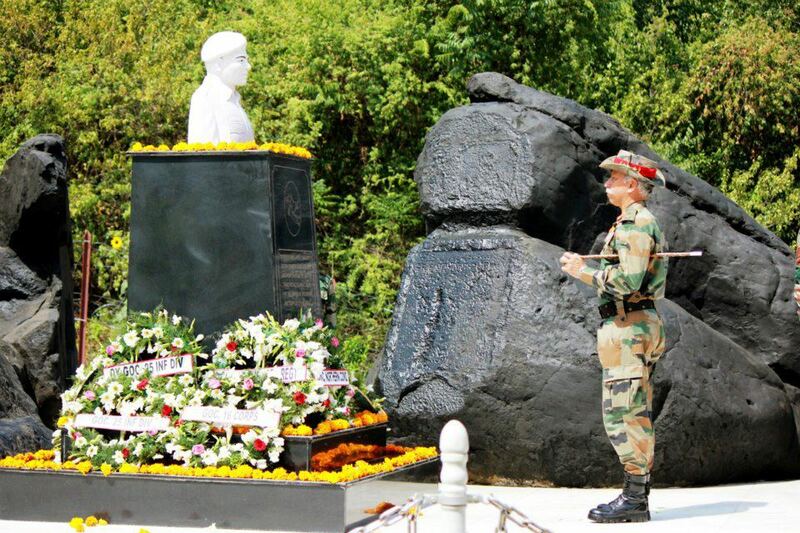 Singh who died on 14th July 1990 in a helicopter crash at Chor-Gali in Poonch sector. 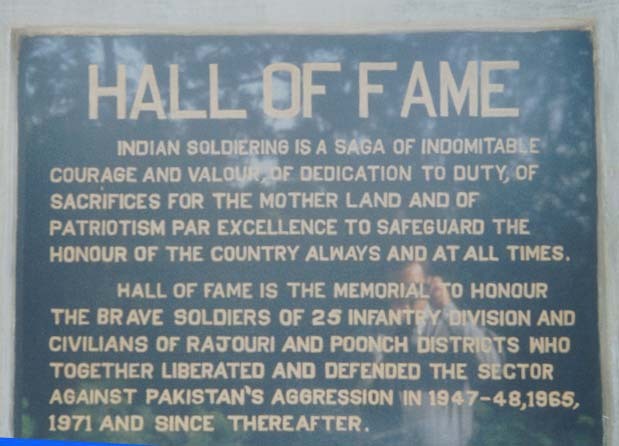 Hall of Fame, the living monument of bravery and sacrifice, has been dedicated to brave army-men of all ranks and civilians who have rendered valuable services and sacrificed their lives for the liberation of Rajouri and Poonch. Brave soldiers and civilians have proved their mettle in wars with Pakistan in the year 1947, 1965 and 1971. As many as 2 PVCs, 48 MVCs, 75 Vr Cs and 30 SMs have been awarded to the valiant heroes in this divisional sector of Rajouri and Poonch. In addition to a large number of portraits of army men of all ranks, two portraits of civilians Shri Maulvi Ghulam-ud-Din and Smt.Mali Bee have also been given due place in the respective galleries. 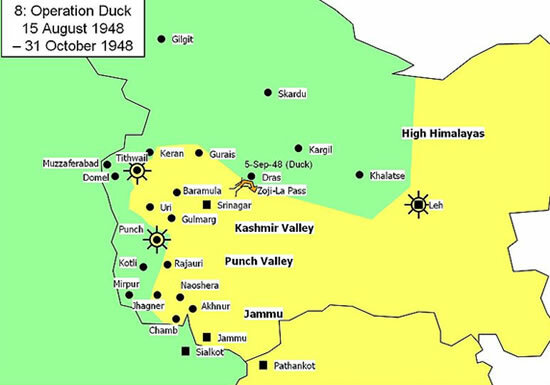 The Maulvi, who belonged to Dagwar, (a village across the Betar nullah in Poonch City) successfully managed to restore irrigation water supply of Dagwar canal during 1965 war. His services were recognized and Ashok Chakra Class-III was bestowed upon him. Smt. Mali Bee, who belonged to Arai village in the Mandi area of Poonch sector, helped Indian army in catching hold of infiltrators during 1971 war for which she was awarded Padam Shree. The Hall of Fame consists of four rooms. 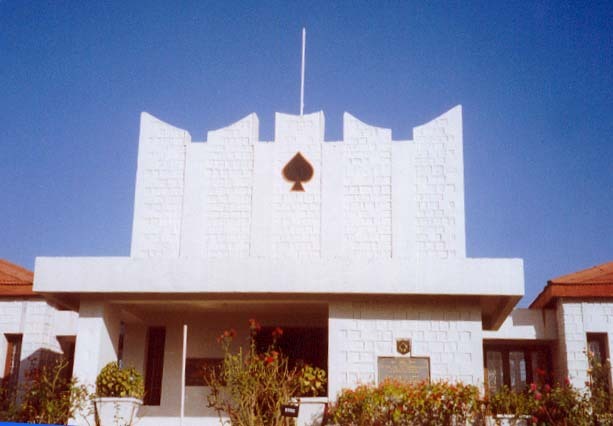 At the entry point is the general hall, which has been decorated with flags and shields of units that took part in the last three wars, and also the portraits of the Generals who were entrusted the defence of this divisional sector from time to time. On the left wall of this general hall we have the portraits of as many as twenty great warriors of different ranks including Brig.Pritam Singh and Brig. Usman. 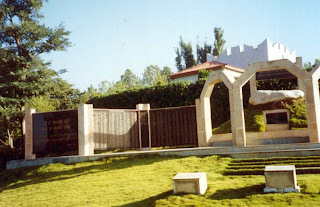 Another memorial has been constructed at Jhangar in the memory of Brig.Mohd Usman. Brig. Usman was mainly responsible for freeing the captured area around Jhangar. 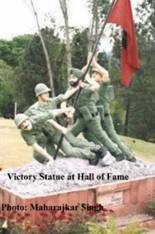 The Infantry unit located at Jhangar maintains this great memorial. 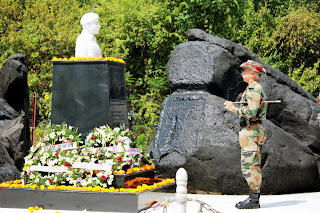 The heroic deeds of armymen as well as civilians who died while fighting in this area are commemorated every year on 3rd July as "Jhangar Day". 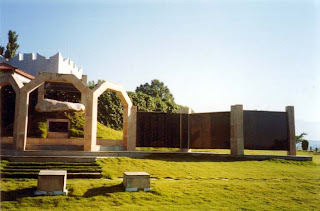 Along with this great memorial another memorial has been constructed in memory of those of 268 Ind. Bde. who gave their lives for honours and glory of their motherland. 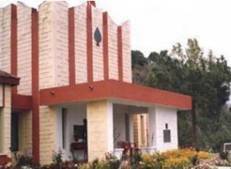 A Fauji Mela is organized on 13th April every year in the memory of those killed.Besides the above-mentioned important war memorials, a few others also exist at various places in this district. We salute the martyrs who gave their precious tomorrow for our today. I salute the great patriot and warrior and for his supreme sacrifice. Brig.Zial while addressing NCC cadets at Queen's College Varanasi between1963-65 informed that Late Brig.Usman studied there. Since then his name is etched in my memory and I aspired to know more about him.He is a true and great national hero.More needs to be done to spread awareness about him to inspire youth to follow in his footsteps. I humbly suggest to the Govt. to start Colleges in his memory with residential facilities at Varanasi, Meerut,Aligarh and Hyderabad etc.